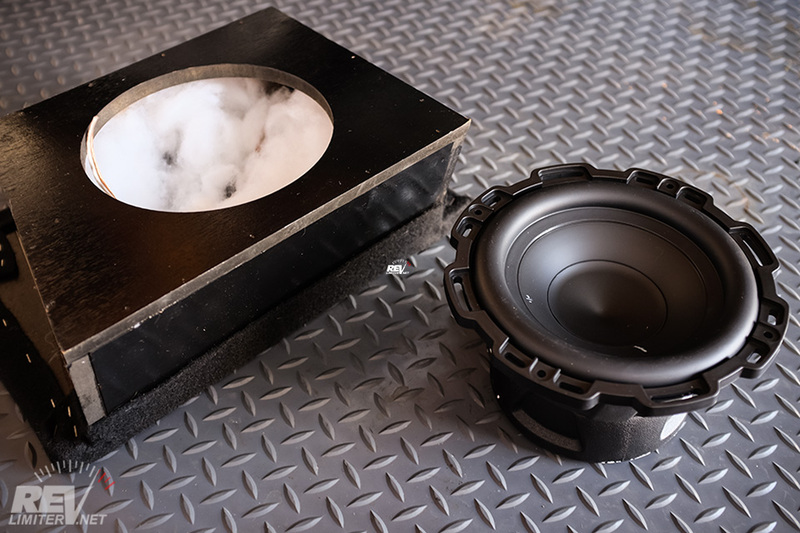 The Miatabox subwoofer solution is a one-of-a-kind. If you’re looking for bass in your MX-5, go no further. Not sure what equipment to get? I was always a little disappointed in the sound in my car, but the MiataBox solved all my problems! The bass is super punchy and clear, not distorted like subs in a trunk usually sound. The box looks really good when in place and is hardly noticeable! I’ve got more than one Miata, and I’ll be ordering more than one MiataBox for the rest of them! It sounds great. The amount of depth this little sub adds to any given song is truly impressive. It’s very clean bass too. There’s even bass with the top down while driving at freeway speeds. THAT is something you rarely get from a trunk mounted sub. When the top goes down, your bass goes away. But with the MiataBox, your tunes stay rocking. The MiataBox is compact and fits nicely. It’s a great quality box and super stealthy. I asked my mom to see if she could tell if there was anything there and she could not until I pointed it out! I am 100% satisfied! The best bass available for the MX-5 Miata.